Your current location： Home > Mall News > Website News > This final and most intense free-for-all will change the future of distribution! This final and most intense free-for-all will change the future of distribution! Different types of component distributors have had distinct boundaries in the past, but you will see that international distribution giants are paying more and more attention to the small- and medium- long-term market, which has a natural connection with the online business model. The number of local component distributors is bound to decrease in the next two or three years. This is the topic of discussion at the 2018 Global Distribution and Supply Chain Leadership Summit. As one of ASPENCORE’s Global Twin Peaks, the round table BBS topic at this leadership summit is the division of the new ecology of the industry. The guests include Wang Yucheng, the chairman of Best of Best Holdings; Xia Lei, the CEO of ICZOOM Group, Inc.; Tan Rongxi, the president of CEDA (China electronic distributor’s branch); Sha Hongzhi, the chairman of Najing Sunload Electronics Corporation LTD.; Wu Zhengzhou, the senior consultant in the component distribution industry; and Jiang Yixin, Arrow's sales vice President. All of them are from the industries of domestic and foreign electronic component vendors, distributors, and transaction platforms—veterans of the industry association. Increasing manpower and warehousing space alone to expand the business scale is placing distributors under huge pressure, so more cost-effective online models are beginning to be favored. In addition, local distributors have a gap in operating efficiency compared with large international distributors, and we also will get extra profits from the Further Improvement in Efficiency. According to Xia Lei, the CEO of ICZOOM Group, Inc., the salaries of college graduates today are not what they used to be. As the cost of employment increases, third-party service companies are more needed to serve the electronic components industry. The advantages of traditional distributors are very strong. If they focus on advantages and outsource unnecessary parts to service providers, there may be a win-win result. Tan Rongxi, the president of CEDA (China Electronic Distributors’ Branch), gives two solutions: one is developing the large-scale to reduce the unit cost and make profitability larger. The other way is the specialization that creates value with potential return, which is better than other companies. Actually, each company has their own way to develop their business; but no matter which way you choose, it will be very different. If you simply follow others’ way, it will be a dead end. Sha Hongzhi, the chairman of Najing Sunload Electronics Corporation LTD, said that there are two key points in improving efficiency: one is to establish a real system on organization structure. The second is to use the right people—even if you pay them high salary, it is worth it in the long run. But the first question is how to find the right people. Sha Hongzhi, the chairman of Najing Sunload Electronics Corporation LTD.
Alibaba and JD enter into the electronic components industry to show that distributors should pay attention to the long-tail market and how we still have the opportunity. Does it mean that we will lose our place as distributors once Alibaba controls the resources of manufacturers? Sha Hongzhi: “One way is internet giants get involved in the industry; and the other way is the industry integrates the internet to improve its efficiency. Which way is more advantageous? I have been thinking about it for a long time. I believe that the latter is much more vital. Even though the internet giants have high reputation, sufficient capital, and high-level talents, the electronic components industry is highly segmented. For the internet giants, getting involved in this industry will only add to their existing glory. For us it’s a question of life or death. So everyone in this industry will protect their benefits with their life. Wu Zhenzhou: “You can see that I am wearing a hat. I tend to see myself as a ‘farmer’ in this industry. And most of you are also ‘farmers’. We have been working hard in this industry for a long time, just like farmers working in their fields. From my point of view, Alibaba and Jingdong are more like fishermen. We have been working hard in this industry for a long time. How can they take away our job far from the sea? Jiang Yiqi: “I welcome the entrance of internet giants. Actually we are cooperating with Jingdong and Alibaba. We have our own website, and we are cooperating with them in other areas. In the short term, these internet giants are not our competitors because they have different goals, at least in the short term. They told me directly that they will never be companies with heavy assets. They are not good at stocking and loaning. What they want is mega data. After collecting enough data, they will be able to analyze and forecast the needs of customers. And this forecast will in turn help the manufacturers to develop the products that are more customized to the market’s demand. “I don’t know what is going to happen in 10 years or 20 years. But in five years the principle of Pareto Eyes should work. Everyone will gain and nobody will lose. The internet giants are not making a mess at the moment. They may have a negative impact on the traders to a larger extent because they increase the transparency and reduce the grey zone in the industry. But there’s one thing that will never change: they have a different idea. We might be competitors in the long term. It’s hard to tell. But I see more opportunities to cooperate in the short term. In the short term I see many opportunities where online and offline can work together to explore the whole market. Each party can make the best use of its advantages. I don’t think that these internet giants are interested in becoming authorized distributors. Even though they have opened a number of stores, most of them are selling developers’ tools or selected models. Some of the customers’ demands cannot be completed on B2B platforms, and they have to be done offline by face-to-face communication or by on-site technical service. We can only complete the exchange step online. In our industry, the internet can only help us to do order placement, and it cannot help with service. Only offline service can work. To conclude, we are allies with these internet giants. In the long term it depends. We will see. Will the history of distributors’ integration repeat itself? 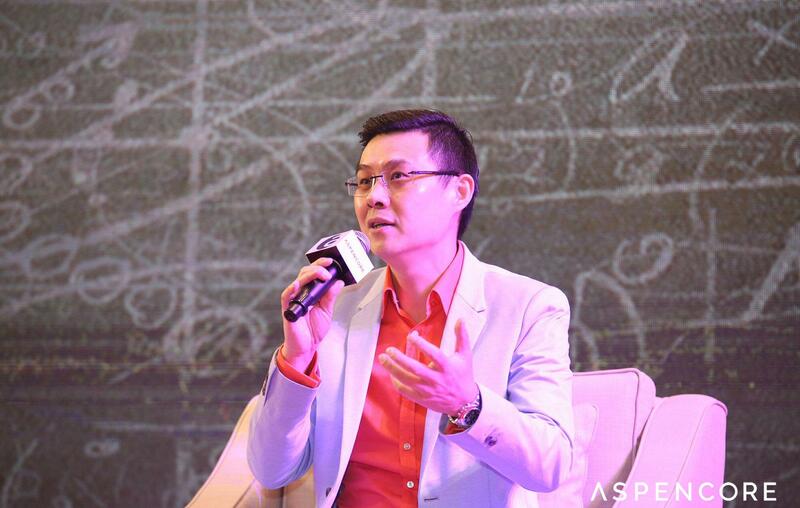 Jiang Yiqi: “The numbers of distributors and traders are going down lately. That’s for sure. Which one is more competitive? I think that traders will last longer than authorized agents. Traders make a living by their customer resources or exclusive information. Sometimes they can get some information from other customers as well. So relatively, traders do not rely on the manufacturers that much as the agents because the traders are able to sell the products by their own means. By comparison, manufacturers have full control over the agents. And agents won’t risk their license to challenge the pricing system. If you are wearing their shoes, you wouldn’t do it. Is winter coming, or shall we remain positive?